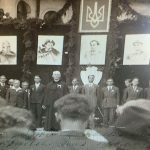 Although I grew up in the United States, I have always had a strong connection to the land of my ancestors, Ukraine. 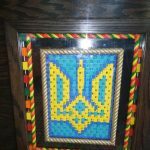 It had always amazed me that, although Ukraine is the largest country in Europe and home to 45 million people, many people had never heard of the country. Only later as I became more familiar with the history of the world did I realize there was a specific reason why this was the case, and I’ll touch upon this later. 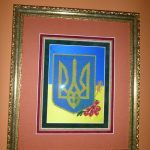 But it has always been my desire to do something to make the beautiful history, art and culture of Ukraine more accessible to members of the American society that I grew up in. 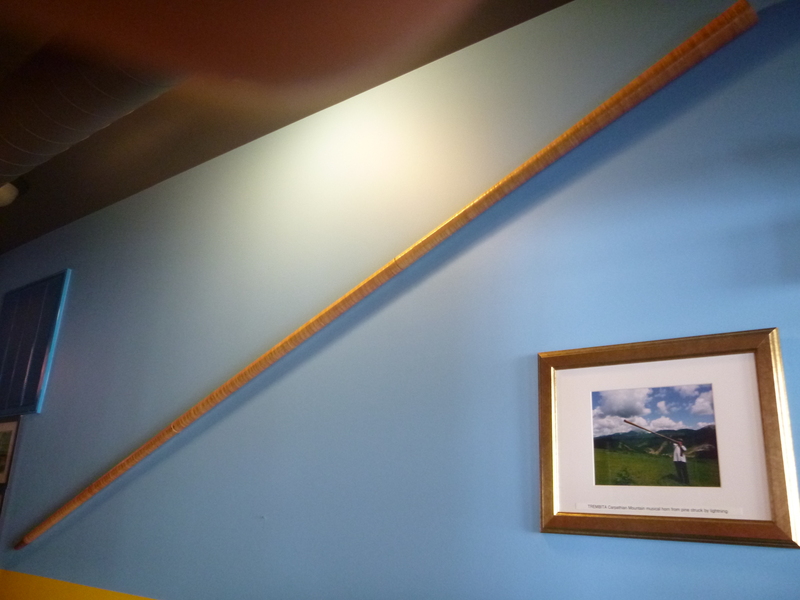 I myself painted the carved wooden tryzub at the corner of the bar. These tryzubs in the bar were gifts from family members and dear friends. 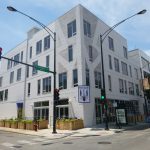 The largest tryzub in the world is outside the restaurant in the four story brickwork of the building that the restaurant occupies. This was designed and built by myself and my cousin, Gene Bereza. If you look carefully you will see many tryzubs throughout the restaurant. 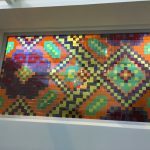 Some were handmade by family members, such as the glass mosaic above the entrance and the hand beaded tryzub on the orange pillar. The yellow tryzub above the large wooden inlaid chest was molded out of plastic in the 50’s by my father, and I myself painted the carved wooden tryzub at the corner of the bar. 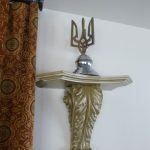 Other tryzubs such as the metal statue and the amber one in the main dining hall and the wooden carved tryzub in the bar were gifts from family members and dear friends. Photographs of my ancestors hang on the south wall of the main dining hall. 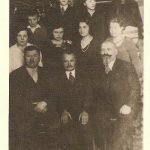 To the far left is my maternal great-grandfather who built the first brick building in the western Carpathian town of Synovudne, where he opened a pub in 1861. 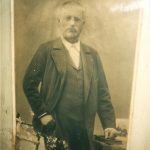 The next photo depicts my paternal grandfather in his Austro-Hungarian officer’s uniform. 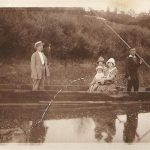 The next picture depicts a bucolic scene of my father as a small boy on a family fishing trip in the mountain town of Kolomuya. 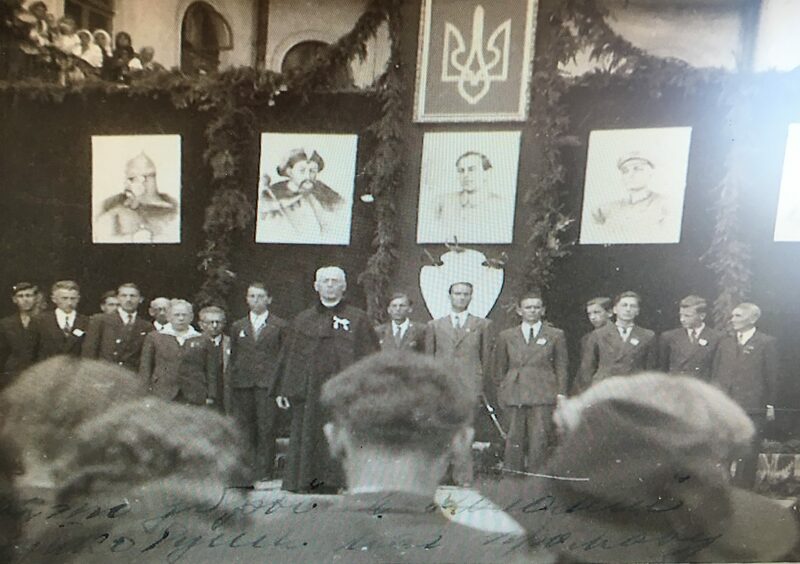 Immediately to the right is a picture showing a tumultuous scene as the second world war approaches and my great grandfather,a priest, and my grandfather, the vice mayor of Kolomuya, attend an independence assembly. Notice the tryzub in the background. 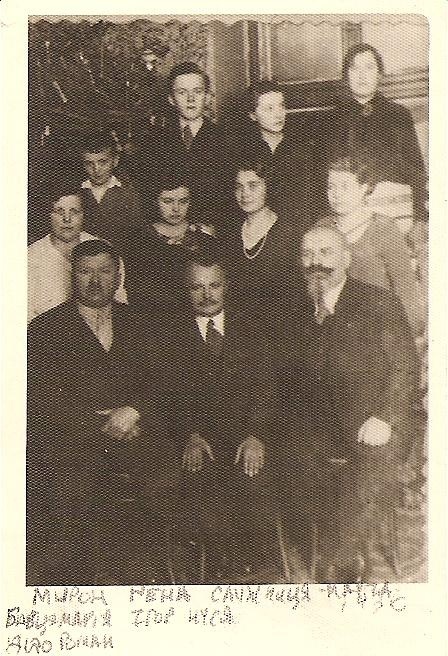 The next photo to the right shows my maternal grandfather who moved the family to the city of Lviv and opened a restaurant there in the 1930’s. 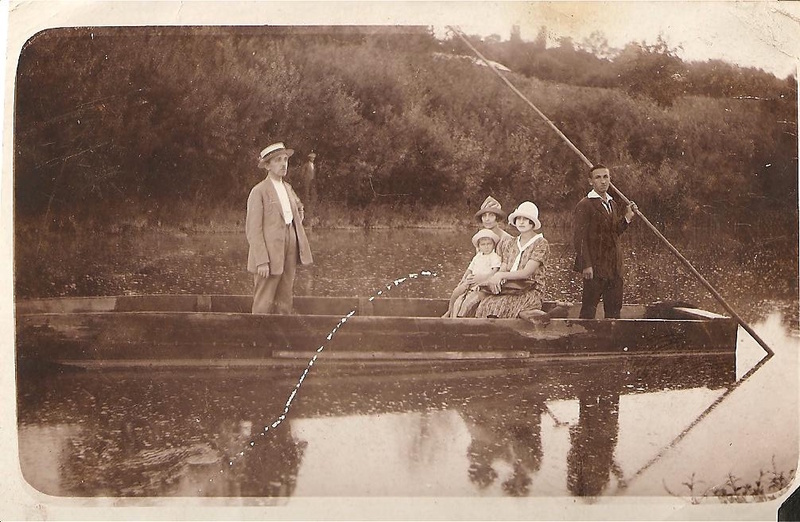 My mother appears in this picture as a young girl, and it’s her recipe I use for Mama Gena’s pork burger. Slightly below her is her sister, who would spend 15 years in a Siberian prison camp for being a member of a Ukrainian independence organization. The final photo shows my father as a young man, first as a Ukrainian freedom fighter,and then later a member of the American Armed Forces during the Korean War. 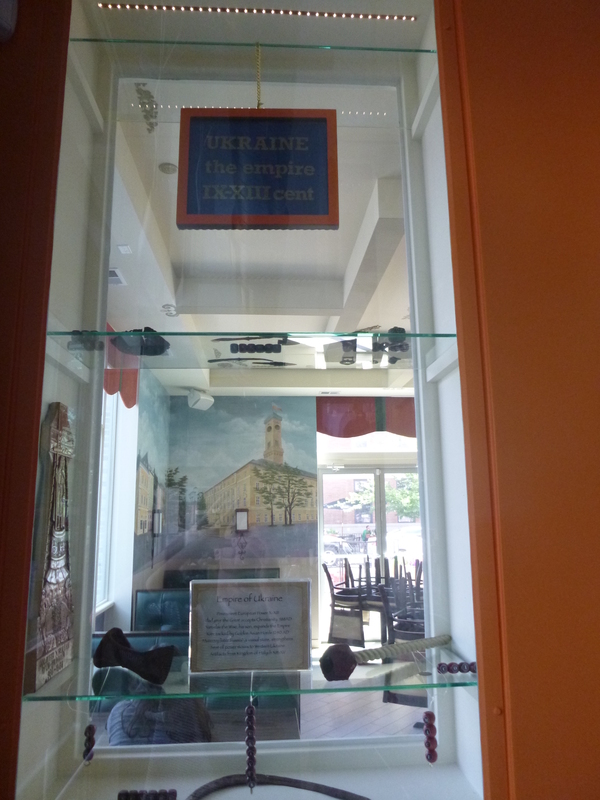 The first case is dedicated to the Ukrainian empire . This era starts sometime in the 10th century. 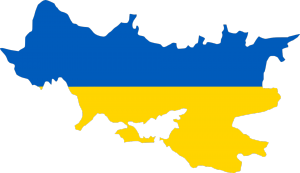 After a military defeat of the Greeks of Constantinople and after accepting Christianity as their state religion in the year 988 A.D., Ukraine becomes one of the preeminent powers of Europe. This powerful empire grows in strength for several centuries. In 1240 the Mongol Golden horde overruns Kiev . Only after the ransacking of Kiev does Muscovy (later Russia) , one of its newer and smaller vassal states , begin to grow in power . The seat of Ukrainian power moves further to the west. 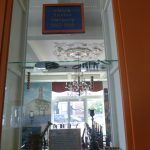 The artifacts displayed are from the 13th to 15th century kingdom of Halych. Some are related to the field of battle including : a ceremonial mace head, a battle ax and an assortment of various arrowheads . 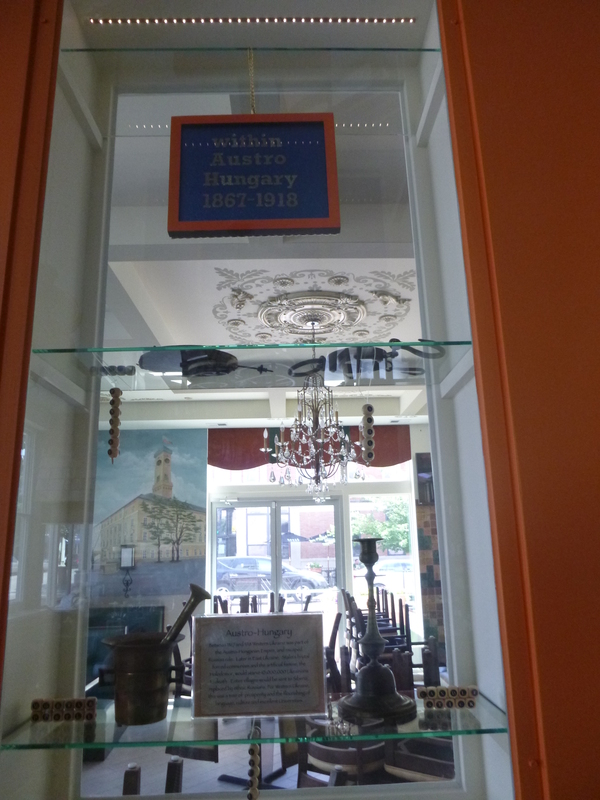 Also displayed are a scepter , an oil lamp, a coin and some women’s hair decorations. The next case is dedicated to the Ukrainian Cossack State. Here we can find evidence for modern Europe’s first democratic nation. 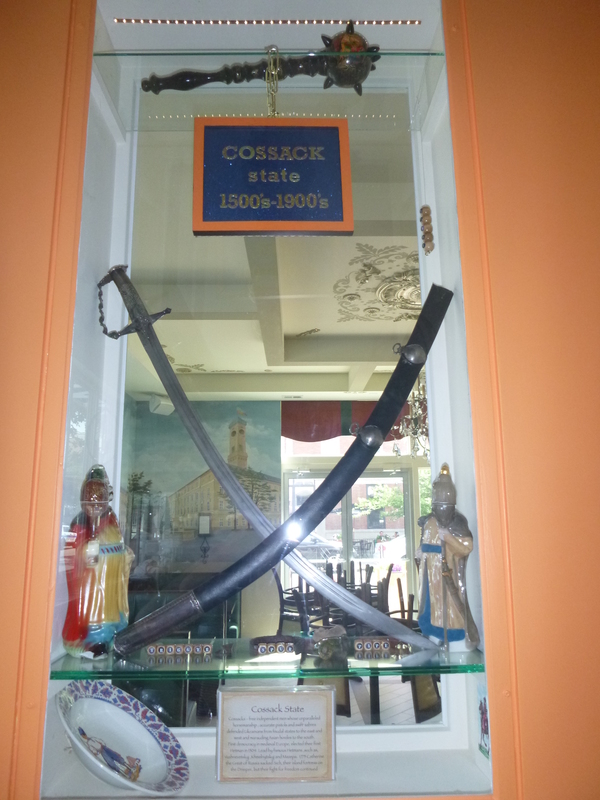 Cossack means free person. Cossacks were free Ukrainian people who had escaped the European feudal system They inhabited the steppes of Ukraine as free and independent thinkers who lived and died by their skill with a sabre, their accuracy of their pistols, the spirit of their horse, and their own cunning and physical prowess. In a world of Kings and Lords they alone voted to elect a leader called a Hetman. This was medieval Europe’s first democracy, which preceded the French Revolution by centuries. The first Hetman was elected in 1506. 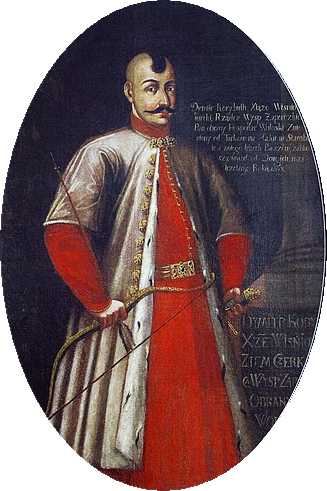 In 1540 Hetman Bayda Vushnevetskyj established the island fortress Zaporizhka Sich on the Dnieper river as the capital. For the next several hundred years the free loving Cossacks used their unparalleled horsemanship and there sabres to protect Ukrainians from feudal European powers to the east and west and marauding Asian hordes from the south. 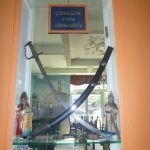 The sabre on display was fashioned by a Armenian craftsman living in the western Ukrainian city of Lviv in the 1700’s. 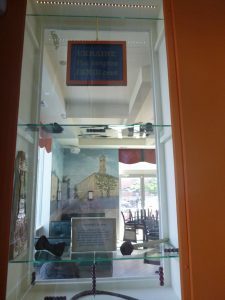 Other items include a couple of Cossack pipes, a spur from a Cossack’s riding boots and trigger from a Cossack pistol. The decorative mace and porcelain figures are modern day items that depict the Cossacks. In 1775 , the very day that America declared it’s independence, Catherine the Great of Russia destroyed the Cossack Sich. The Cossacks, however, moved south and continued their battles. 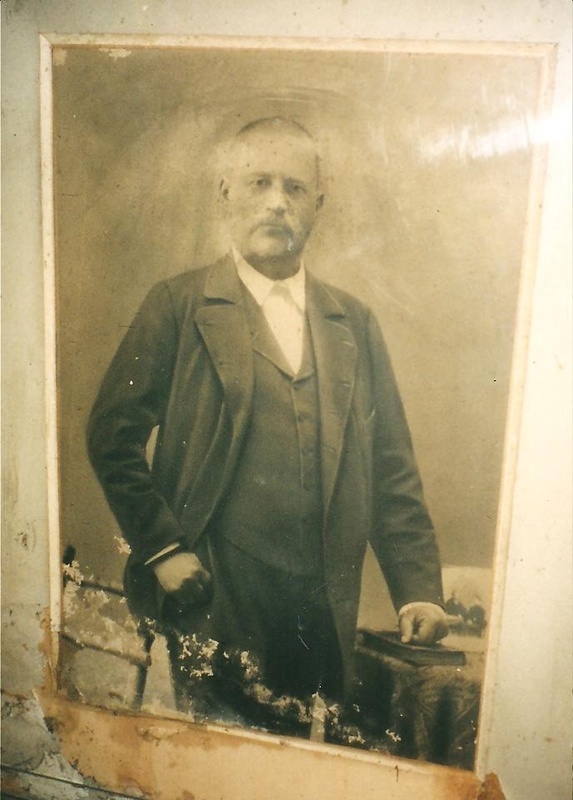 Some of their descendants went as far as the Caucasus and Kuban regions, today geographically in southern Russia. They have declared their independence and tried to unite with Ukraine as recently as WWI. At least a million were killed or relocated in Siberia by Russian “decossacktivization” efforts after WWI . Millions more died in Stalin’s artificial famine, Holodomor, 1932, an effort to forcefully introduce collectivization and communism. Western Ukraine was able to escape the atrocities of the Holodomor, as it was part of the Astro-Hungarian empire 1867-1917. This was a relatively peaceful and prosperous time for western Ukraine, highlighted by the growth and development of Ukrainian Universities. Exhibits from this period are high-lighted in the third case, they include an ornamental pendant from a grandfather clock, an apothecary’s brass mortar and pestle, a church brass candle stick, a butcher’s scale, nutcracker and a liturgical book in old Slavonic. 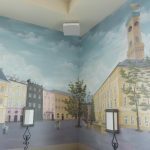 Pictures of some of the palaces in western Ukraine decorated in the Astro-Hungarian style can be found on the white indoor/outdoor countertop across from the bar. 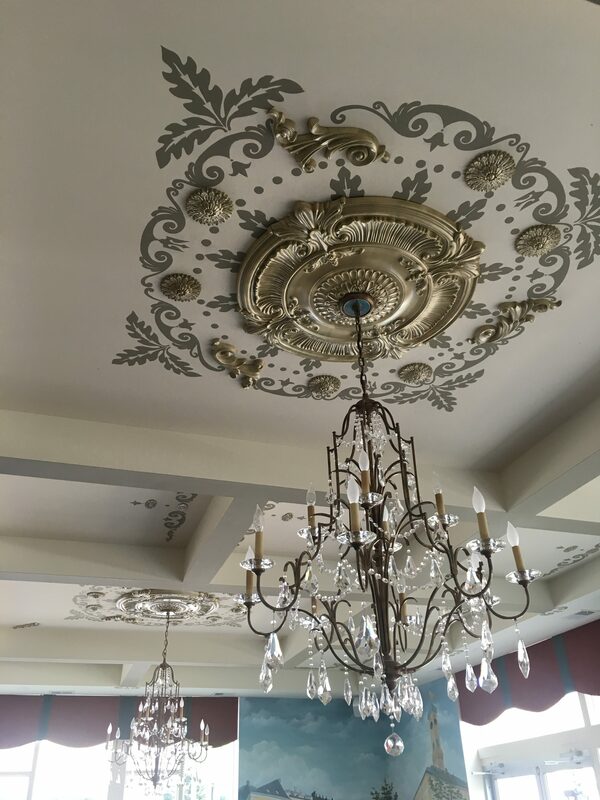 The main dining room is decorated in a “modern Astro-Hungarian Ukrainian style”. 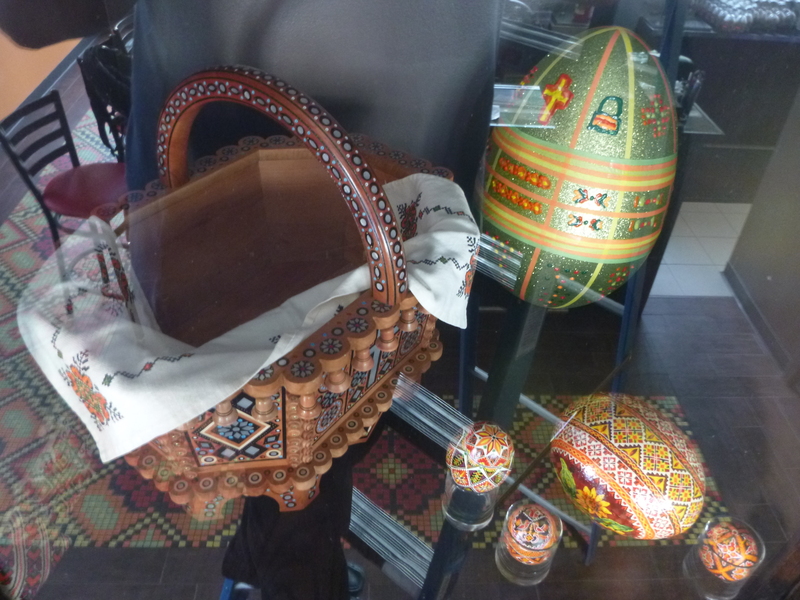 The bottom case is dedicated to Ukrainian ethnic art. 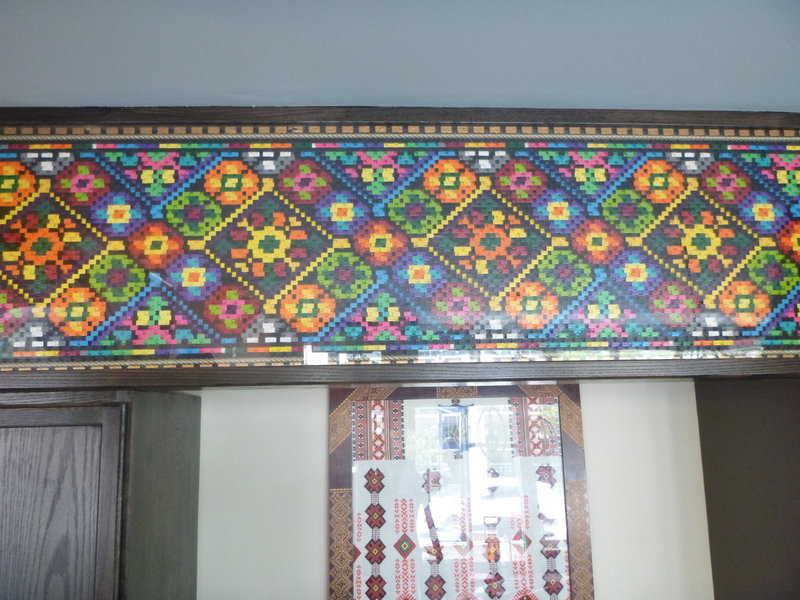 The embroidered cross-stitched pillows and table cloths were all hand-made by my mother and grandmother. 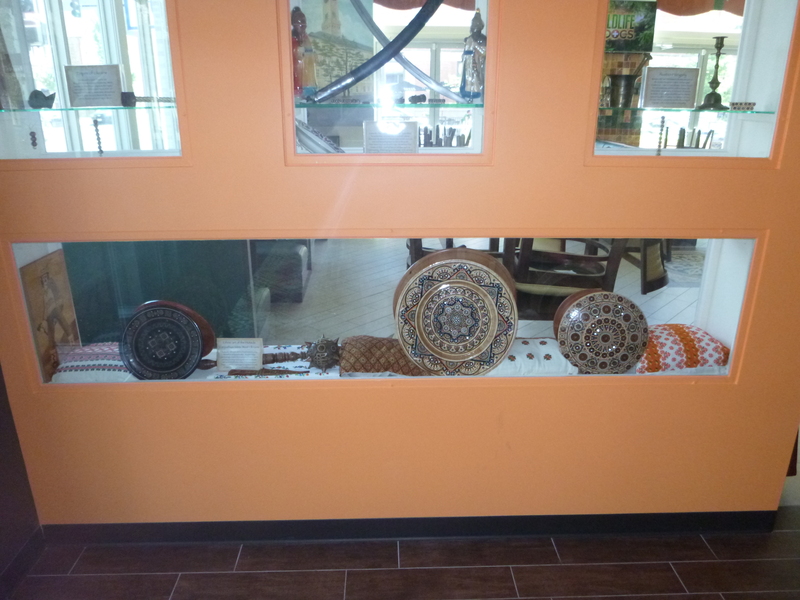 These are called “vushuvku” and come in many beautiful colors and patterns. 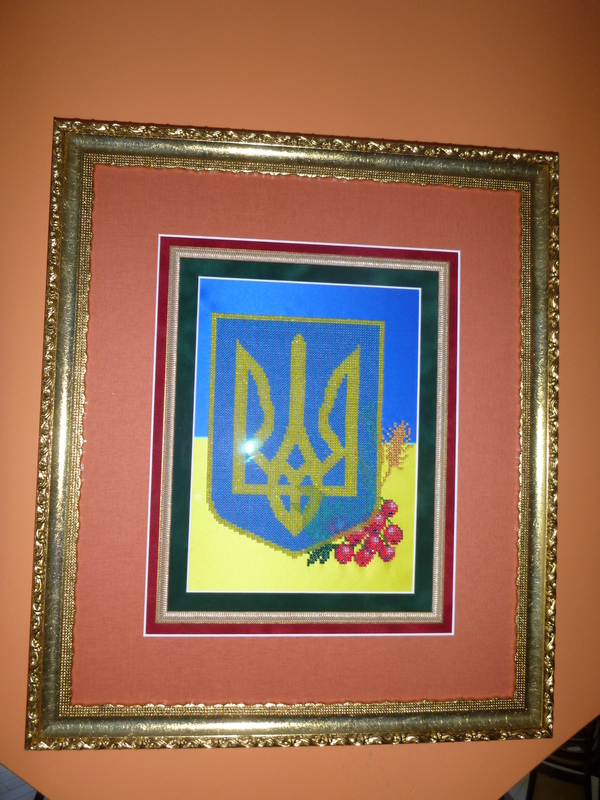 Originally, the colors were derived from plants and roots of Ukraine. 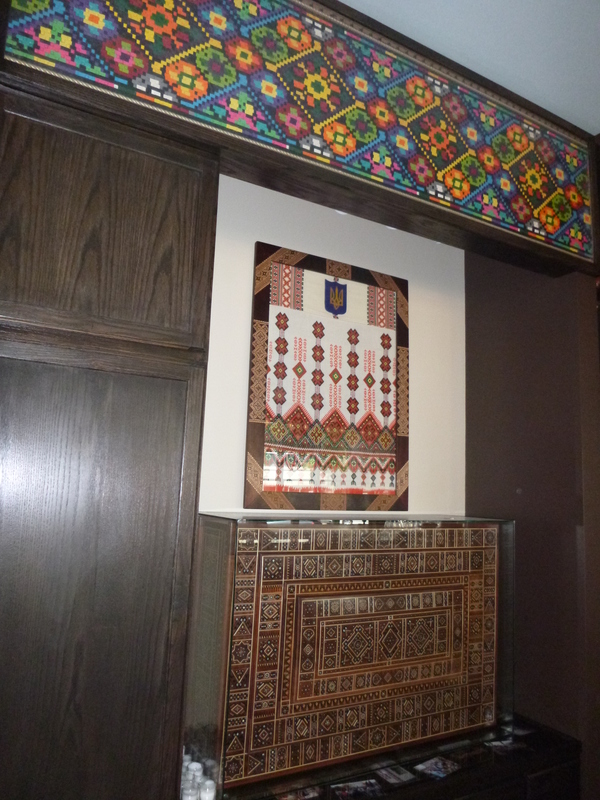 The wood inlays are the incredible creations of the Carpathian Mountain people, the Hutsuls. 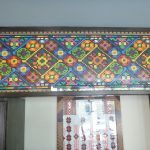 Each tiny colored piece is created by painstakingly excising a small bit of wood and replacing it by another piece of different color wood, metal or bead of precisely the same shape. 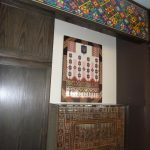 The display of inlays continues with the large chest affixed to the wall seen directly in front when one enters. Pictures of the process are displayed beneath the chest, which took 6 months to create. 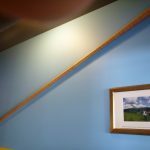 A Hutsul musical instrument, the “trembita” hangs on the right side of the back hallway. It is a 3 meter horn that can only be carved from a pine struck by lightning, and it’s erie melodious bellowing has allowed the inhabitants of the Carpathian Mountains to communicate over vast distances for many centuries. 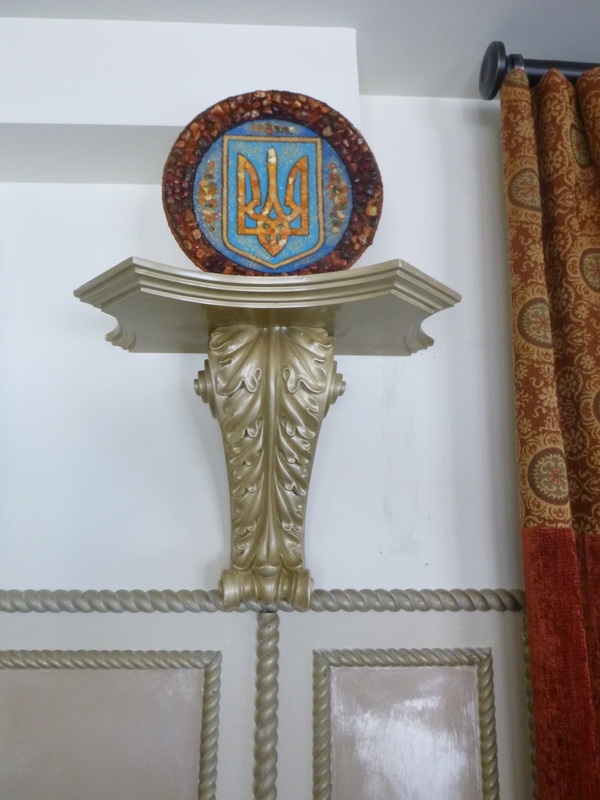 To the right of the chest are Ukrainian “pysanky” or Easter eggs. These are made by immersing eggs in successively darker colors of natural vegetable dyes. 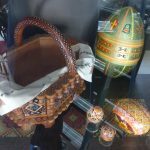 In between dyes, the parts of the egg design that are to remain that color are covered by melted bees wax with a special instrument called a “kistka”. At the end the wax is melted and removed, revealing a gorgeous intricately decorated egg. 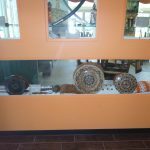 Above the chest and on the side of the bar are my own painted wood carvings, and to the left of the entrance is a glass mosaic I created. 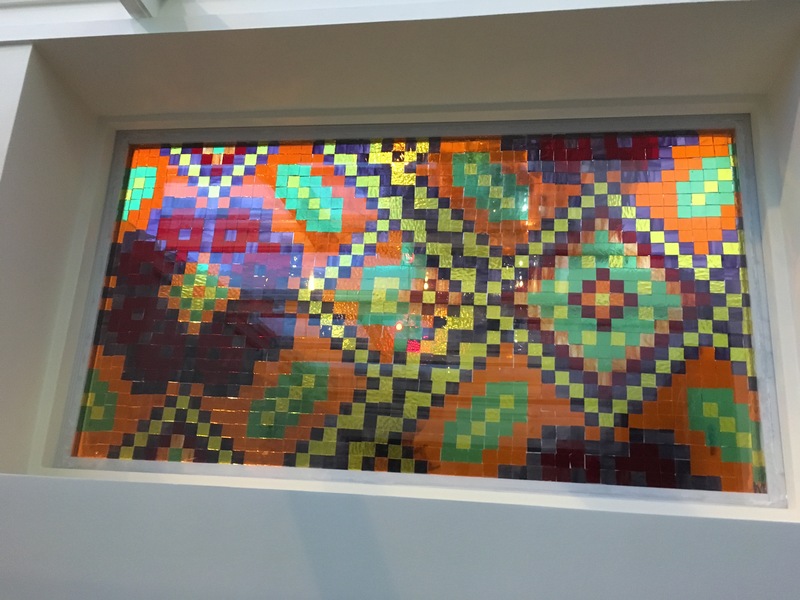 These and the special tile floor are efforts to give “vushuvku” a new modern expression. 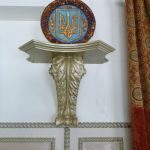 The marble mosaic on the wall of the main dining room is another expression of the vushuvka design but also with a tryzub motif. 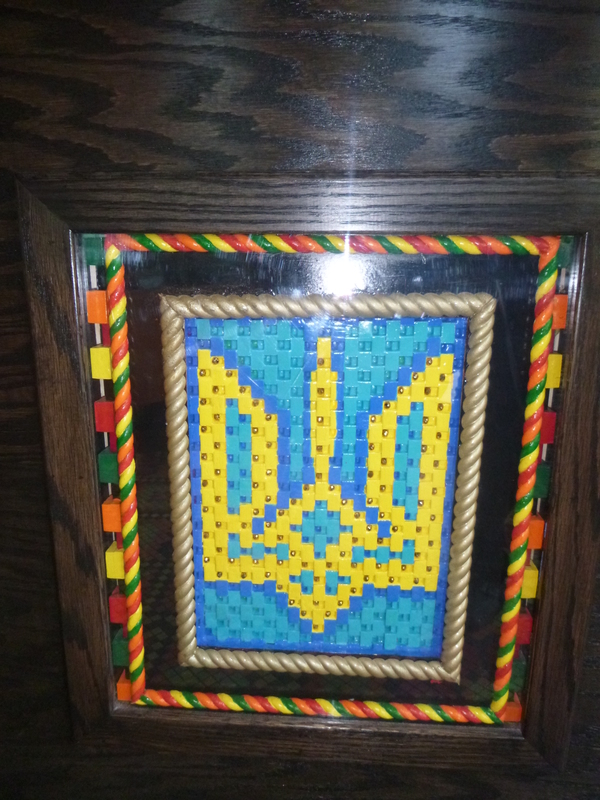 This was done with my childhood friend, Askold Rychtytzkyj, who also wrote the very informative section on this site about Ukrainian history. 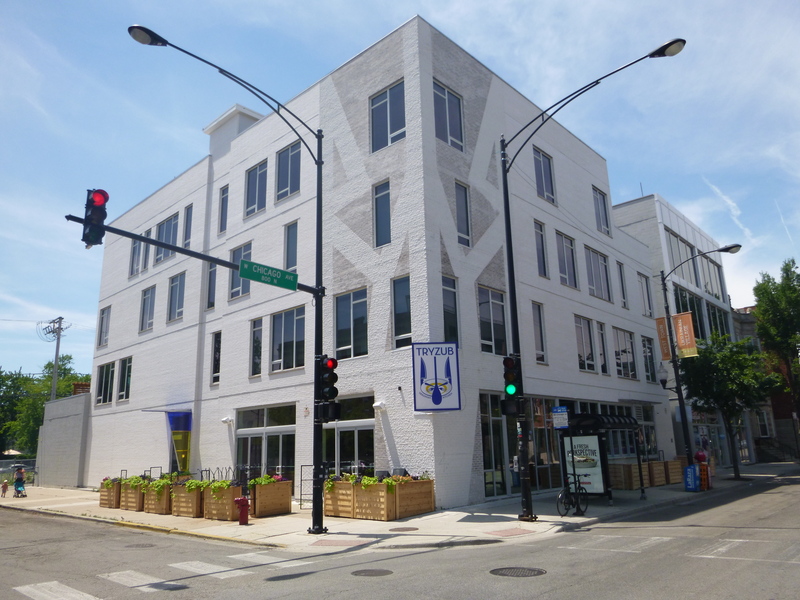 Some true artists also helped bring the place to life. 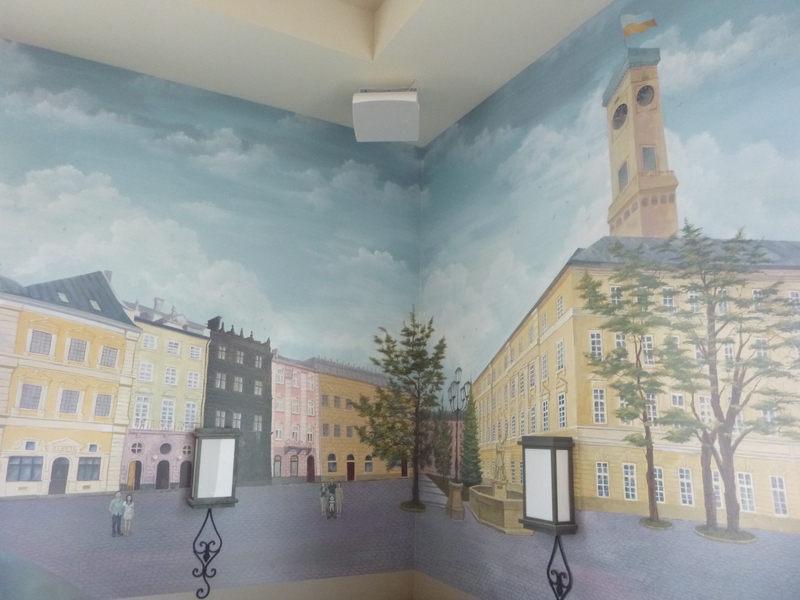 Vasyl Bysko and Roksolana Konchak created the mural on the northeast wall. This depicts the town square and city hall of the beautiful capital of western Ukraine, Lviv. This city was founded in 1240, the black building at the left of the mural, “Chorna kamenutsya,” is the oldest standing building, built in 1577. 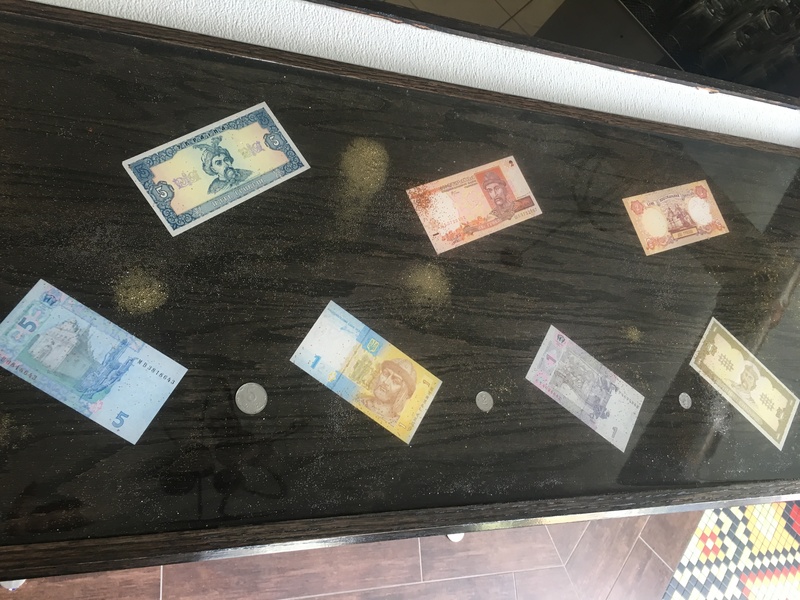 Vasyl also helped me create the epoxy coated bar which showcases Ukrainian currency. 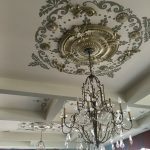 Another artist and his wife, Jarema Khrushch and Anastasia Kovalenko, hand painted the gilded ceiling, the “vushuvku” walls in the back and other parts of the restaurant. Ukraine is a much misunderstood and often maligned country whose people have suffered mightily over the last millennia. It is a rich and fertile country whose bounty has tempted countless invaders. 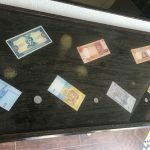 It is a country which stands at the crossroads of Europe and Asia, and essentially has served as the battleground for many empires including the Vikings, the golden Asian horde , Napolean , Hitler and Stalin. Because of the endless battles fought for and in Ukraine, the country has been hampered in it’s efforts to develop a strong government that can protect its own citizens and promote its own causes. The Ukrainian people have suffered terrible injustices and this has often gone unnoticed, with,of course,her enemies doing everything possible to ensure this continues. One should never referred to Ukraine,for example,as the Ukraine. This is just one small example of a worldwide process that results in the marginalization and persecution of Ukraine. Some of this,of course, has happened because of Ukraine’s struggle to attain statehood, but it is also actively supported and perpetuated by those that stand to gain the most from her denigration. Russia’s Stalin starved millions of Ukrainians in the 1932 Holodomor in an effort to subjugate the Ukrainian people and force collectivisation and communism on them, despite their hard-working independent-minded nature. The Western world barely heard about these atrocities because Ukraine was not easily accessible to western journalists and travelers. 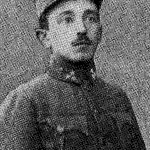 One western journalist, Walter Duranty, who did have access to the truth was bought off by Stalin. 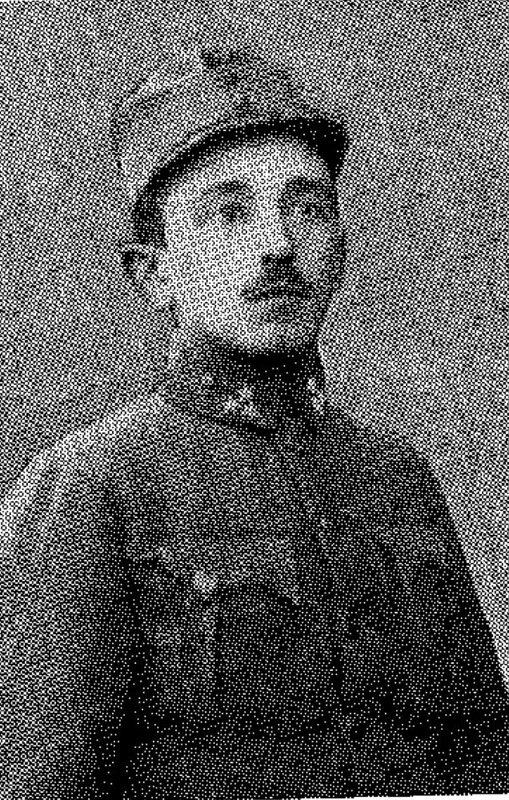 Some estimates reach figures of 10 million dead of starvation by artificial famine, as Stalin confiscated all grain and sold it abroad for several years, and used the proceeds to industrialize the Soviet Union and prepare for war. Cannabalism became widespread. Millions of Ukrainians that didn’t die where relocated to Siberia, as entire villages of ethnic Russians were relocated to Ukraine in a program of “deculturization.” In WWII more people died in the territory of Ukraine than all the rest of the world combined. (see “Bloodlands,” by Yale historian Timothy D. Snyder). Hitler was obsessed with Ukraine and wanted to make the “breadbasket of Europe ” his own. When Stalin replaced Hitler, his rule was even more brutal, Ukraine was sentenced to nearly 50 years of persecution and stagnation until the decrepit Soviet Union finally came apart at the seams. Despite declaring independence in 1991, Ukraine has had a difficult time achieving full freedom from Russia. Even recently, after freedom loving Ukrainians rose up and deposed Victor Yanukovich, a convicted felon and puppet president installed by Vladimir Putin , Putin launched an unlawful invasion of Crimea and Eastern Ukraine . Putin used the traditional communist propaganda deception campaign to assert that this was primarily a movement by separatists, those wanting to protect against ethnic strife, Russian military personnel on vacation and various other preposterous explanations. To this day, Putin employs a veritable army of Russian trolls, young English-speaking Russians, who are paid a salary to monitor the Internet and spread his ridiculous propaganda in various comment sections, chat rooms etc. . In fact, Ukrainians have never been the aggressors in almost any situation, and had long ago learned to live peacefully with a multitude of ethnic groups. According to the Budapest Memorandum signed in 1994, when Ukraine voluntarily gave up its nuclear weapons, the United States, Britain and (ironically)Russia pledged to protect its territorial integrity , and yet the international response to Putin’s invasion has been tepid at best. Shamefully, the United States has been reticent to even supply military aid to Ukraine to assist in its own defense. Precisely because Ukraine has served as the world’s battleground , and her riches have been coveted by so many civilizations and dictators , it has been difficult to establish a strong national government and gain the respect and standing in the world that it deserves Despite these political problems, the people of Ukraine have shown a remarkable resilience and strength throughout the centuries. They have managed to maintain their reputation for good-naturedness and hospitality, have learned to live harmoniously and peacefully with a wide variety of religions and nationalities combining to deepen the flavor of their cultural soup, and have developed an incredibly rich and unique tradition of ethnic art and culinary prowess. 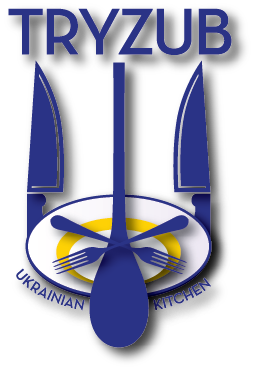 Ukrainians are particularly well know for their hospitality and their propensity and willingness to share their delicious food with all visitors. It is my sincere hope that Tryzub will allow you to experience this to fullest extent possible. 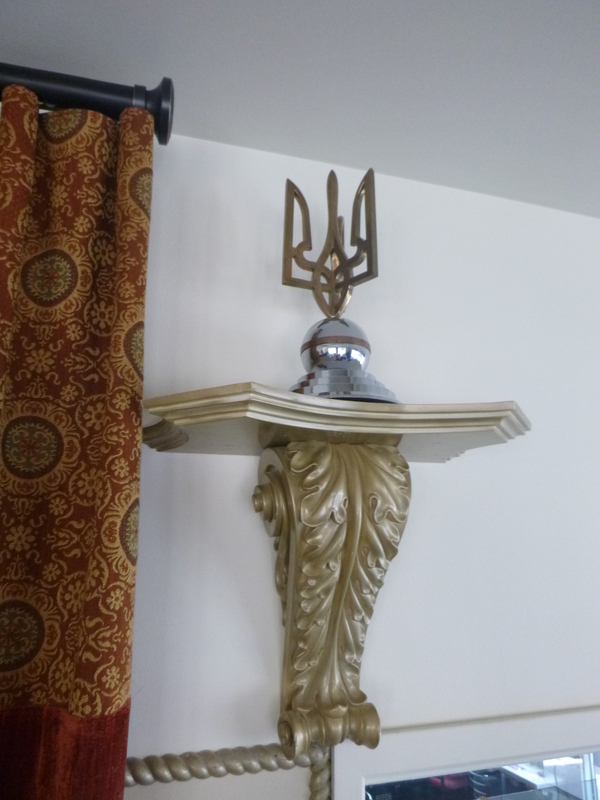 I invite each and everyone of you to come experience Ukrainian culture and history to what I believe is the fullest extent possible short of visiting Ukraine , share and indulge in our hospitality and a Ukrainian meal with us , and hopefully, become an honorary member of our Ukrainian family.